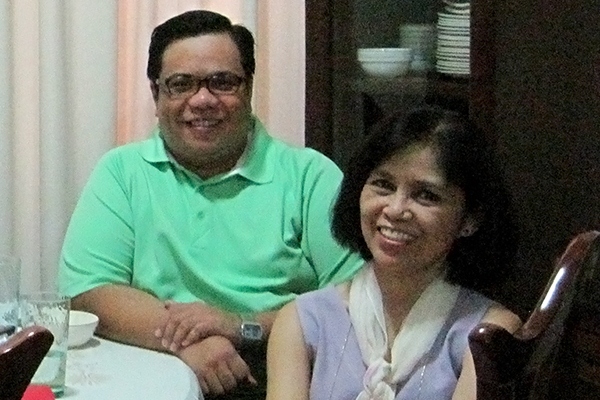 Dr. Rebecca F Catalla, or Pem, was one of the first Filipinos I met when I first arrived in Cambodia about 10 years ago. She gave me my first writing job; trusting me even if she didn’t really know me. Meeting the siblings Ted and Pem actually contributed to my decision to stay in Cambodia to strike it on my own there. Through Pem, I secured my first few projects in Cambodia. She was a strict and exacting boss but she was also very generous if you do your job well. Through her I discovered the power of research, igniting the interest that I still carry today. In the 3 years since returning from Cambodia we kind of lost touch, but I’ve always considered it an honor to have worked with her and to have been one of her friends. I’m sad that I didn’t make it to her wake & funeral, and the other night I wrote this poem with her in mind. To mourn her loss, to pay her tribute, and to celebrate her life. Grace one can only aspire to. Being one of your friends. As we all know you to be. In your rich and glorious life. 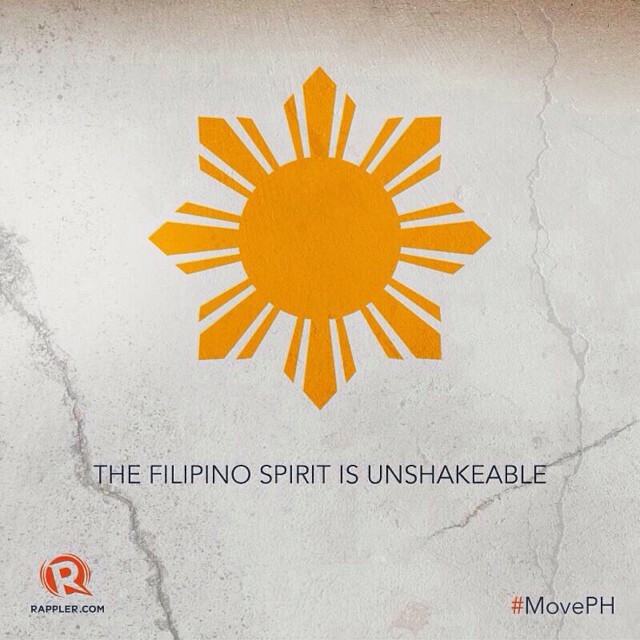 The earthquake that devastated Bohol and its surrounding areas reminded me of the awesome and awful power of nature. We, along with the things we have created, are puny against it. It also reminded me of the many happy memories I have of Bohol and this inspired my choice of photo to share today. 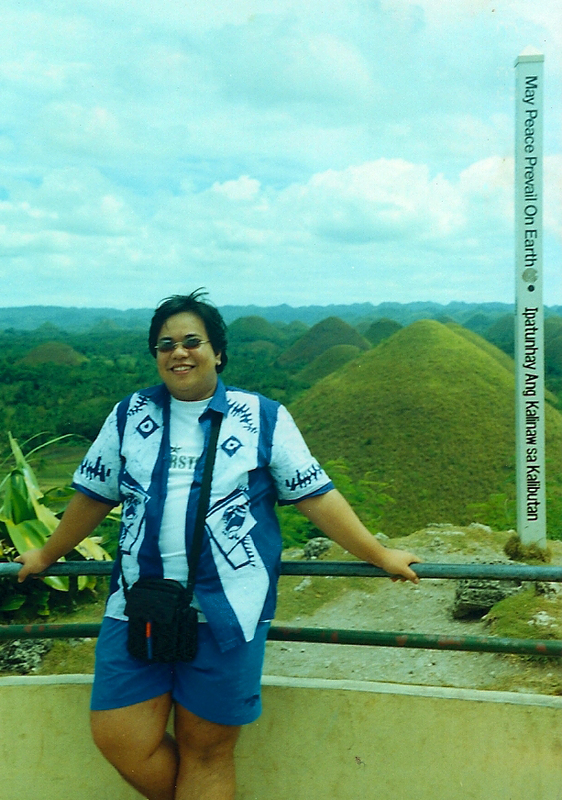 This was taken during one of my last visits to Bohol, in 2003. Pardon my intrusion to the view. Yesterday morning, the province of Bohol was shaken by a 7.2 magnitude earthquake. It was felt in more ten other cities and provinces across the Visayas region, to as far as Zamboanga and Davao in Mindanao. Historical and heritage sites have been damaged. The number of casualties and injured are on the rise as of now, as news trickle slowly from the affected areas. I believe that historic structures can be rebuilt and restored, but lost lives cannot be restored. Through it all, I know we will be able to recover from this. We are a strong and resilient people. We will deal with this, together. I had been anticipating to see “Gravity” only because this is the latest film from the not-so prolific director Alfonso Cuaron, who was behind the best ‘Harry Potter’ film in my opinion (Harry Potter and the Prisoner of Azkaban). In the last 10 years he gave us the delightful “Y Tu Mama Tambien” and the grim “Children of Men”. While in the 90s his adaptation of classic novels “Great Expectations” and “The Little Princess” captured the magic of the books. The trailer didn’t give a hint to what the movie is about but it still excited me! The root word of ‘gravity is ‘grave’–an adjective that means momentous, somber, or dark in hue; however it is also a noun for a place of burial, or where we all end up in due time. Like “Children of Men”, “Gravity” is presented as a science-fiction/ action adventure hybrid but underneath its shell is a meditation on life and death and on how desire affects our own journeys to either one. 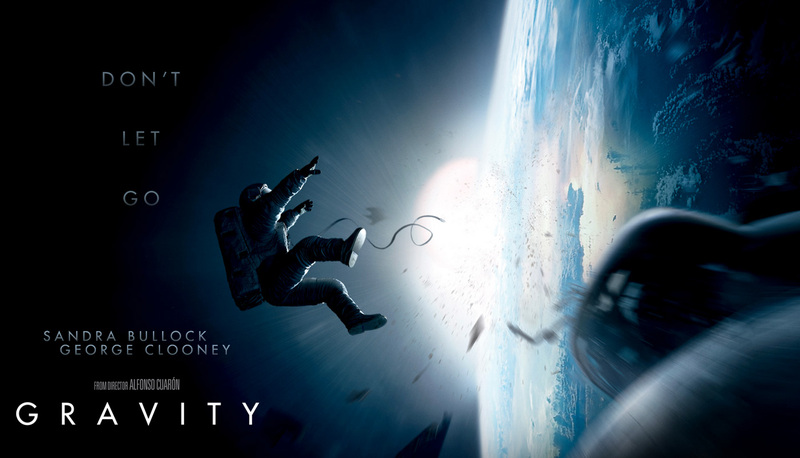 “Gravity”, as opposed to “Children of Men”, tells a more intimate story, focusing, in fact, on just one character facing seemingly insurmountable odds. It bears some resemblance to other survival films like “Cast Away”. This film is a visual feast. Alfonso Cuaron is famous/ notorious for his long one-take shots and this film’s opening scene alone, lasting about 20 minutes, tops all the other one-take shots that I have seen. There are many other shots that will take your breath away because either from its sheer beauty or from its capacity to make you think. The shot of Sandra Bullock curled in a fetal position is as beautiful as it is profound. Made me think of life and, as I learned more of her character’s story, the kind of empty existence that her character was in since the loss of her child. Many scenes later there is also a shot of a globule of tear that flowed out of her eyes before floating towards us, the audience–coming into focus in a poignant moment. She was ready to give up, considering to embrace the graveyard-like silence of space. 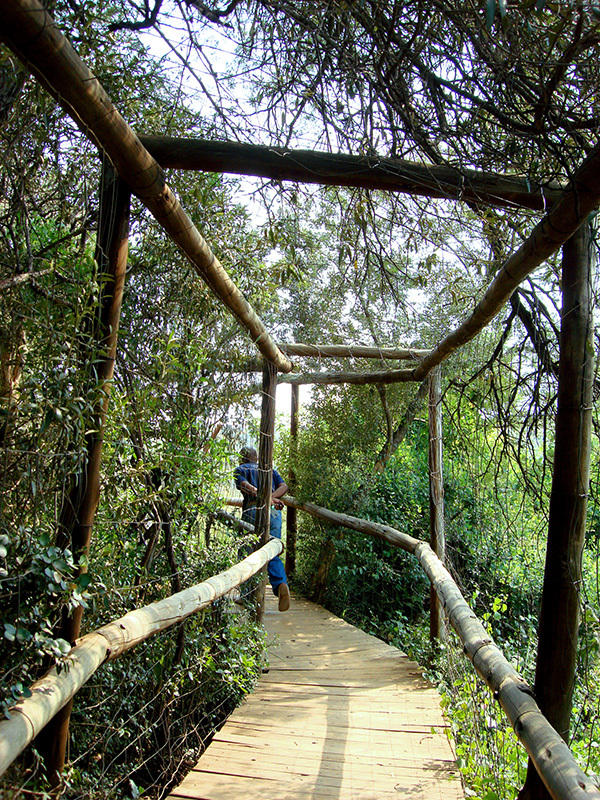 Accomplishing these visual marvels is no mean feat. The film was shot the way “Avatar” was shot: a seamless combination of computer-generated imagery (CGI) and actual photography. I read that the director of photography developed a device to properly light the actor’s faces so that it can be perfectly superimposed on the CGI shots, which required the actors to be placed inside a snug box for hours on end. But film technology was largely absent in my mind the whole time I was watching this film. Sandra Bullock’s performance was truly remarkable. She carried the whole weight of the film on her broad and toned shoulders. George Clooney, in his few scenes, provided a strong counterpoint–responsible for the film’s few but well-placed laughs. It’s why his final scene was so heart-wrenching. She started off smart but curt before turning desperate and anxious and ultimately resourceful and brave. She was giving off sparks of a Sigourney-Weaver-as-Ripley vibe. One of my favorite bits is when she started feeling afraid and she said, almost impetuously, “I hate space.” Towards the end of the film, as she wriggled out of the space suit and swam upwards, escaping the murky depths of the water, my only thought was of re-birth–the coming of, or coming to, a new life. 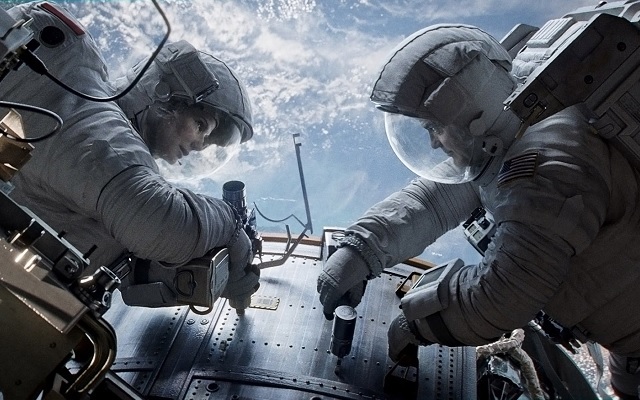 Sandra Bullock navigated through this film as if she were afloat, and at the same time she keeps things grounded, allowing us the audience to connect with her. Alfonso Cuaron let us experience a giddy, thrilling, and scary ride of weightlessness before pulling us back down into our crowded and noisy world where life is complicated, tiresome, but full of potential.